The eighth generation of the Porsche 911 will celebrate its world premiere in Los Angeles on 27 November. It’s 55 years since the original 911 model debuted, and so a perfect opportunity to take a look back at the previous seven generations. The first model variant immediately showed just how advanced the new 911 was: an all-wheel drive that Porsche had originally designed for the high-performance sports car 959 was introduced to the series for the first time on board the Carrera 4. With electronically controlled and hydraulically regulated power distribution, it was well ahead of its time. The all-wheel-drive system used the sensors of the anti-lock braking system (ABS) which – just like power steering – then became fitted as standard in this model, rather than being an optional extra. At 3.6 litres, the air-cooled flat-six engine reached new heights in terms of displacement, and delivered 250 PS in the Carrera 2/4 models. One of the technical innovations in the boxer engine was its twin-spark ignition, which Porsche had originally developed for greater operational reliability in aircraft engines. At the same time, the aerodynamic lift at the rear axle was almost completely eliminated due to the rear spoiler now being retractable. And there was another new feature: the adaptive Tiptronic gearbox, which allowed smooth gear shifting without any interruption in power. The 911 Jubilee model was one of the most distinctive variations of the 964 generation, with only 911 of these special, limited-edition cars to mark 30 years of the 911 made available on the market in 1993 – and they sold out quickly. 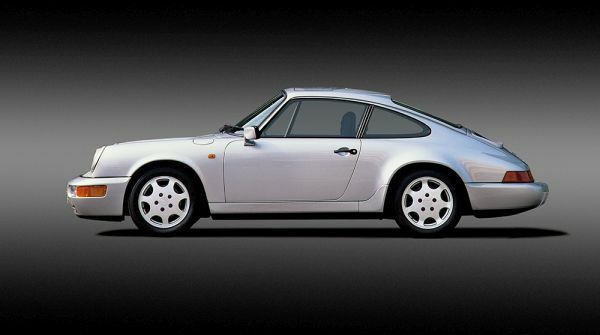 With wide wings at the front and rear, this model combined the drive unit of the Carrera 4 with the Coupé body and 17-inch chassis of the 911 Turbo, but came without its rear wing. Porsche combined the exclusive exterior colour Viola Metallic with a full leather interior in Rubicon Grey. 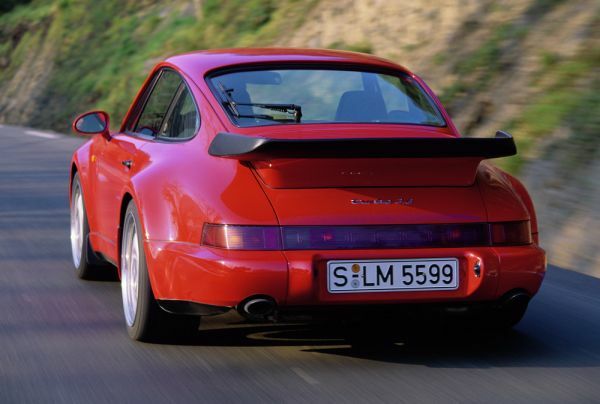 The turbocharged versions were the top-of-the-range 911 type 964 models. The 911 Turbo initially adopted its predecessor’s 3.3 litre engine, which at that time produced 320 PS, and the 911 Turbo S engine delivered an impressive 381 PS. The model was switched to the new 3.6-litre engine with 360 PS at the start of 1993, and the next in line was already knocking at the door from October of that year, and so the sports car icon took the next step. 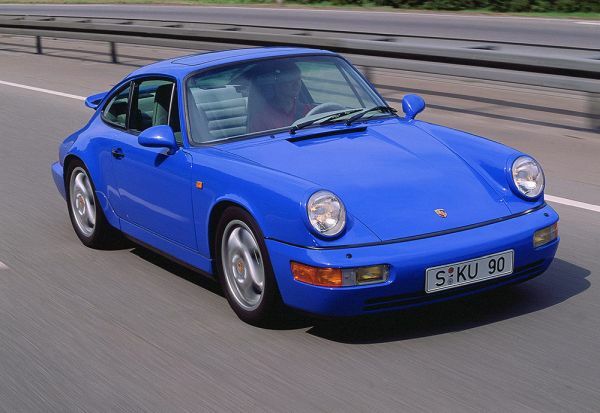 Porsche produced a total of 63,762 type 964 vehicles between 1988 and 1994. Second Prestigious Award to Classic Motor Cars within a month!